Following the footsteps of the retail and finance industries, omnichannel healthcare is gaining traction. An omnichannel dental practice results in improved patient retention, increased revenue, and streamlined processes. Before we delve into what an omnichannel dental practice looks like, let’s talk about what omnichannel is. In Latin, “Omni” means “all.” Essentially, an omnichannel experience is seamless and consistent across all channels. This means whether through a brick and mortar location, by phone, online, or via social media, the quality of service is always the same. An omnichannel dental practice helps create deeper relationships at all points of the experience, improving patient retention for your dental practice. Patients may not recognize that they want an omnichannel experience, but the experience they’ve come to expect is an omnichannel one. The dental experience is no longer as straightforward as it once was. Patient touchpoints start even before they step into your practice. Patients start researching their healthcare providers online; 90% of patients will choose another provider entirely if they don’t like what they see through online research. This is why dental marketing for your practice is critical. Reminders to patients before their appointments are a given to reduce no-shows and late cancellations. 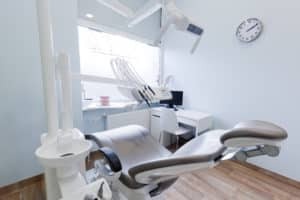 However, these days, more and more dental practices are catering to their patients and contacting them through their preferred contact method such as text message or email. 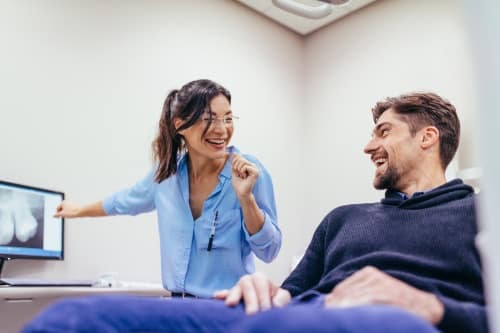 The dental experience doesn’t end when the patient leaves the practice – follow-up calls, social media posts, and email marketing are all ways to keep top-of-mind and create lasting relationships with your patients across multiple channels. The rise of the omnichannel experience was in response to how people interact with businesses these days. Patients want their dental experience to travel across devices and channels with them. And that’s the heart of omnichannel – a great patient experience that occurs across channels but ultimately feels seamless. In a related field, like dentistry, we can expect that similar figures would be found. What this means is that a mobile-optimized website or a mobile app for your dental practice takes higher priority than ever before. In the age of instant gratification, convenience and speed will be rewarded. Patients want their healthcare interactions to be fast and easy. With an integrated dental software, you can significantly improve patient experiences at your practice and by extension, increase your revenue. 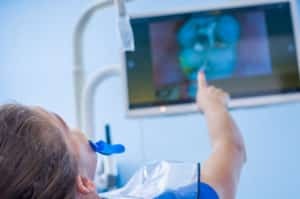 The experience occurs across multiple devices and involves the integration of imaging and dental practice management softwares – but all the patient experiences is a smooth appointment. To be able to offer your patients an omnichannel experience, you need an integrated dental system that has all of your patient information and dental technology in the same place. 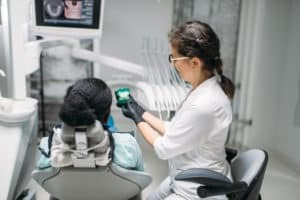 An omnichannel dental practice provides a connected experience across the entire patient journey. An integrated dental software can help you provide exceptional, omnichannel patient care, setting you apart from the competition.